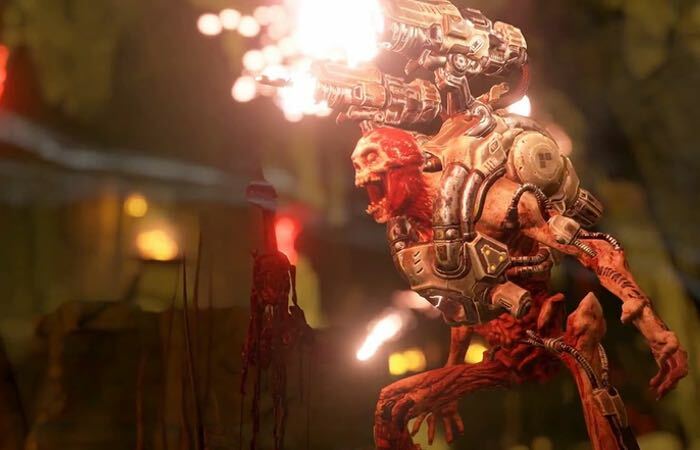 Bethesda has today announced more details about the upcoming DOOM multiplayer testing that will be available for select gamers that pre-ordered Wolfenstein: The New Order. QuakeCon 2015 attendees will also be the first to go hands-on with the with pre-alpha DOOM multiplayer testing phases before the game launches on PC, PlayStation 4 and Xbox One sometime during the spring months of 2016. In the coming months, we’ll be selecting Xbox One, PlayStation 4, and PC players from the Wolfenstein: TNO Beta pool to participate in the DOOM Multiplayer Alpha. To make sure you’re eligible, make sure you redeem your DOOM Beta code at www.wolfenstein.com/doom. If you purchased the game digitally through Steam, PSN, or Xbox Live, you’re already set — you have a digital entitlement that will ready you for the Alpha when it starts. As a reminder, everyone that pre-ordered Wolfenstein: the New Order is eligible to participate in the multiplayer beta planned for next year before DOOM’s Spring 2016 release.